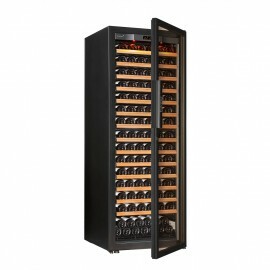 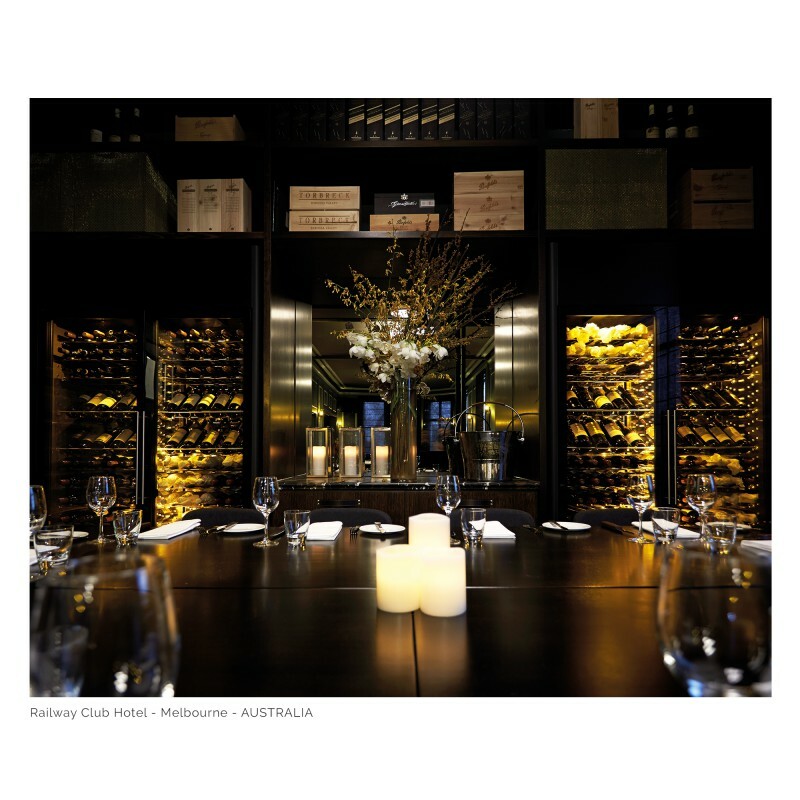 More than just a wine cabinet, ShowCave is a decorative element in its own right. 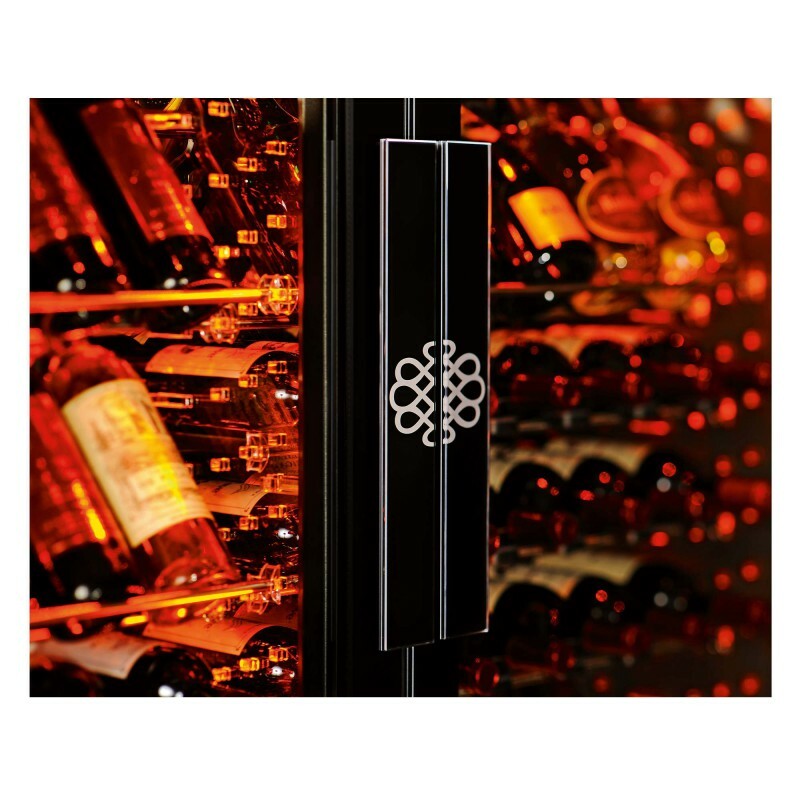 Whether standing alone or combined with several modules, it creates a unique ambiance whilst enhancing your finest bottles. 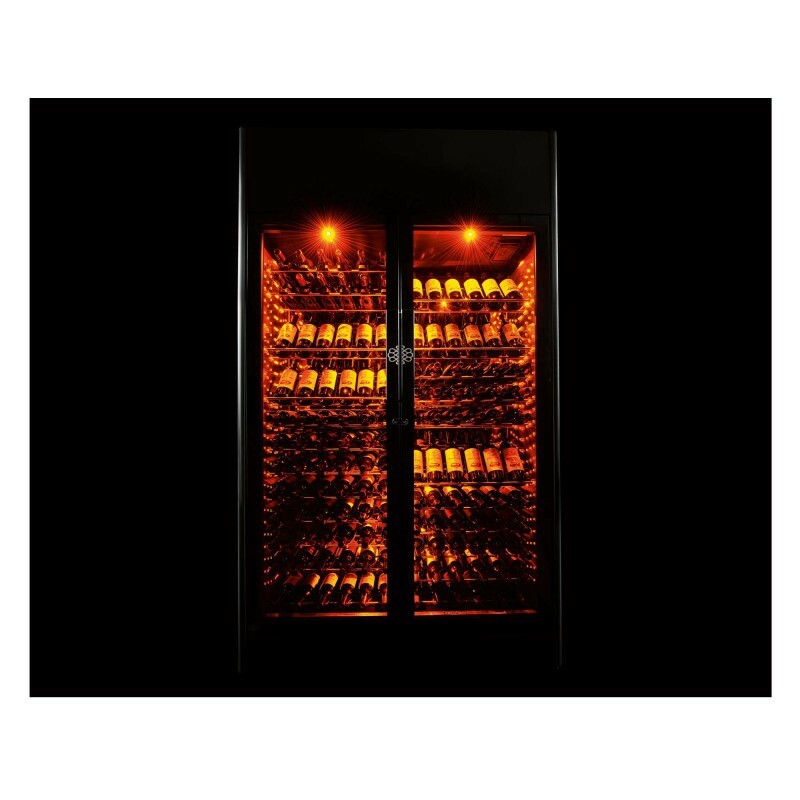 With its temperature range of 6° - 20°C, ShowCave 9180V is ideal for storing wine or can be transformed into a wine serving cabinet. 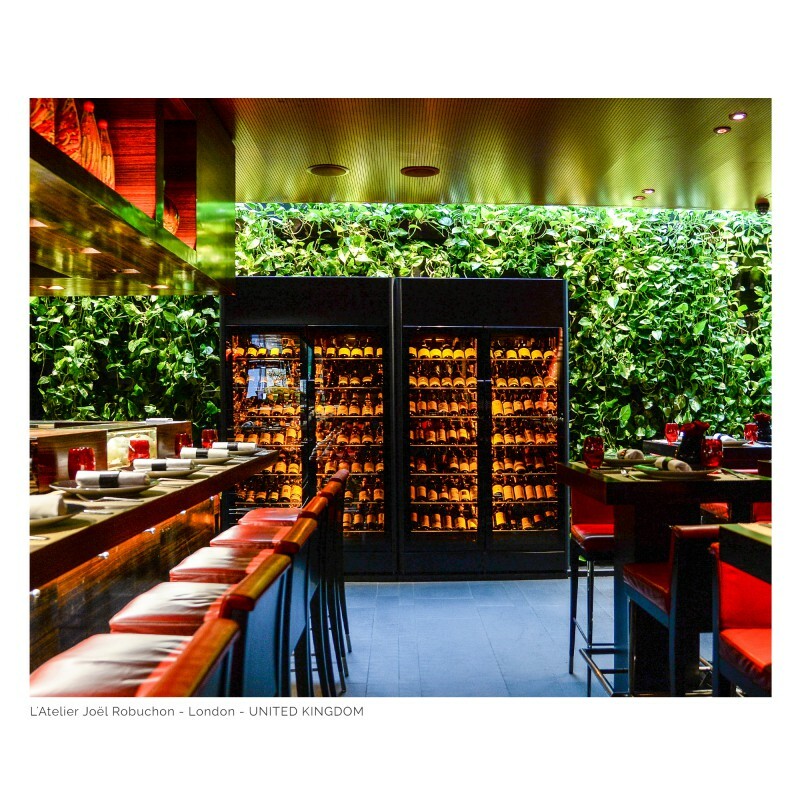 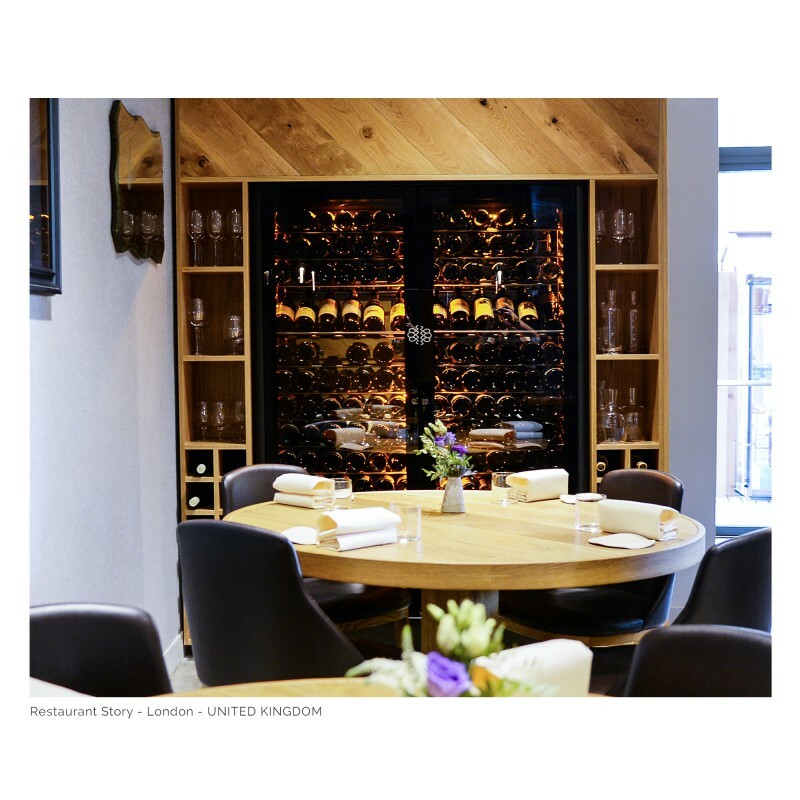 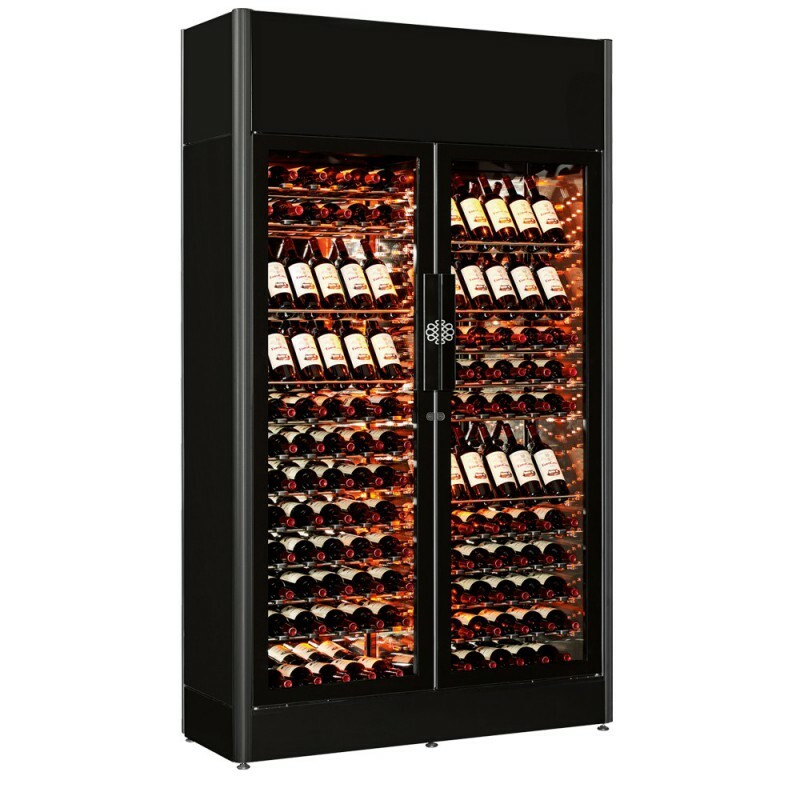 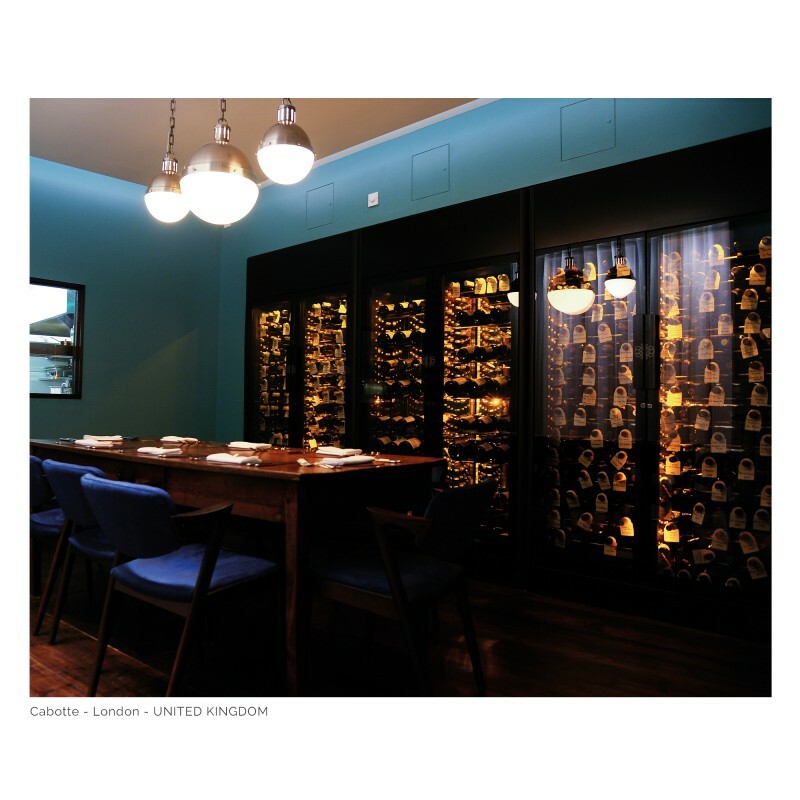 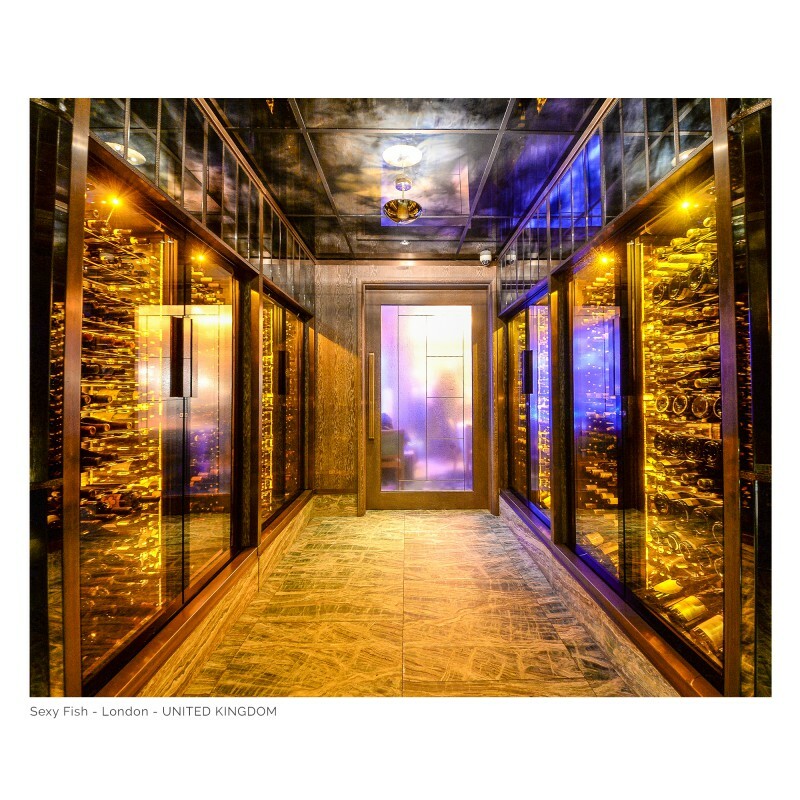 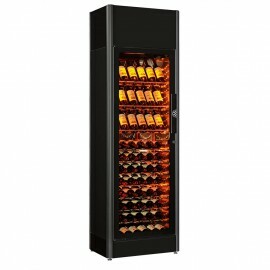 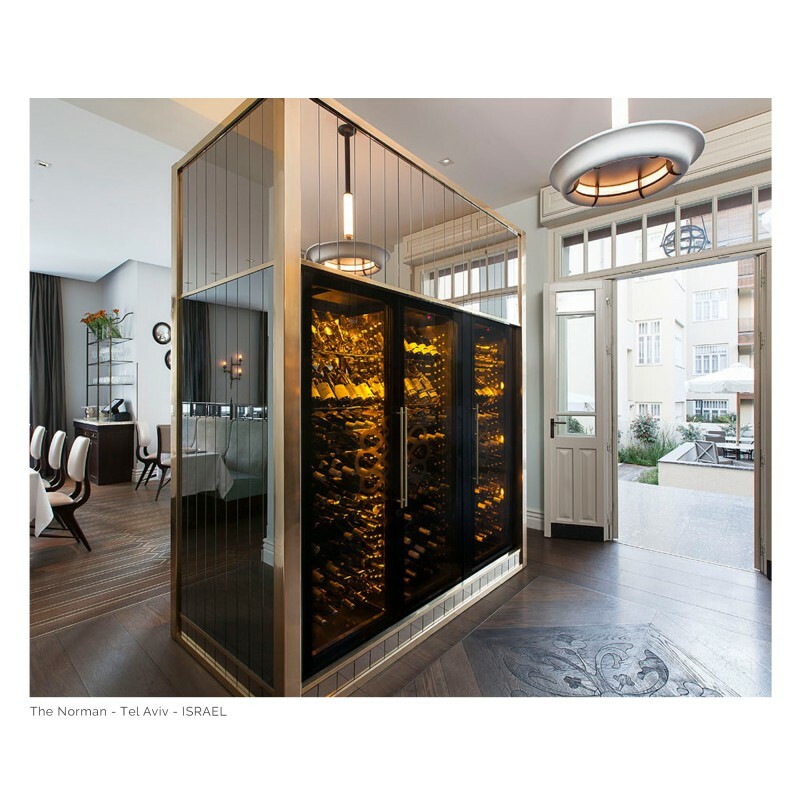 This model is from EuroCave Professional's Series 9000 range : ShowCave has given the wine cabinet a facelift, innovative and decidedly modern, it skilfully combines advanced technology and a bold design. 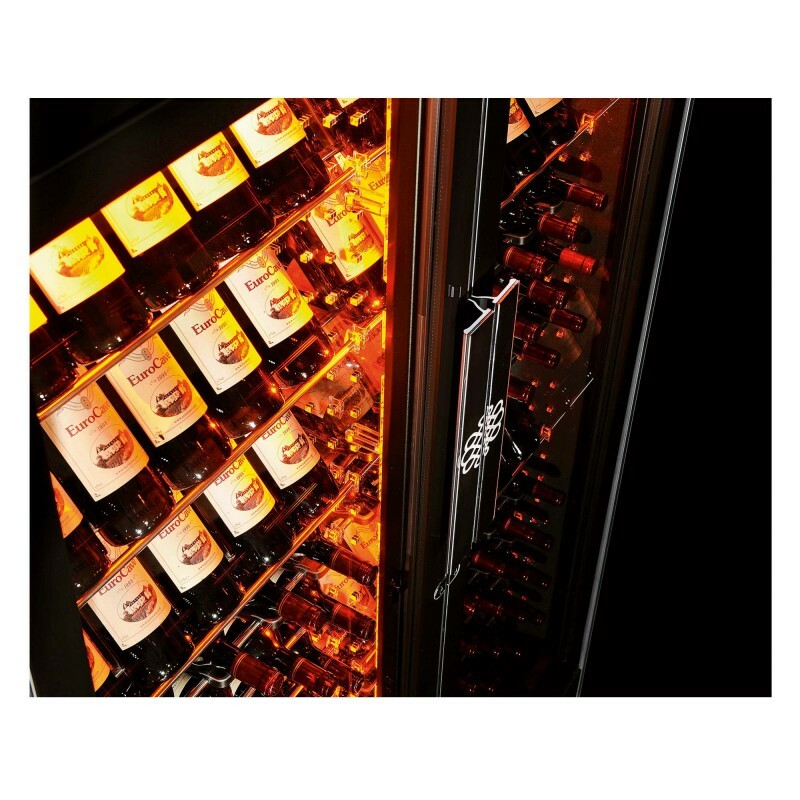 Thanks to its modular storage, you can customise the layout to suit your storage requirements. 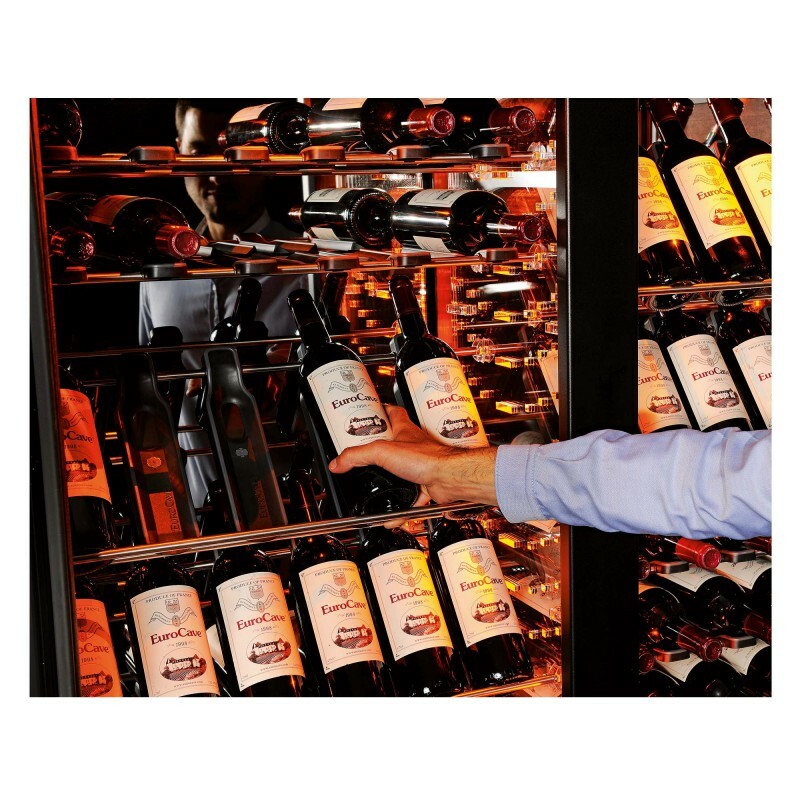 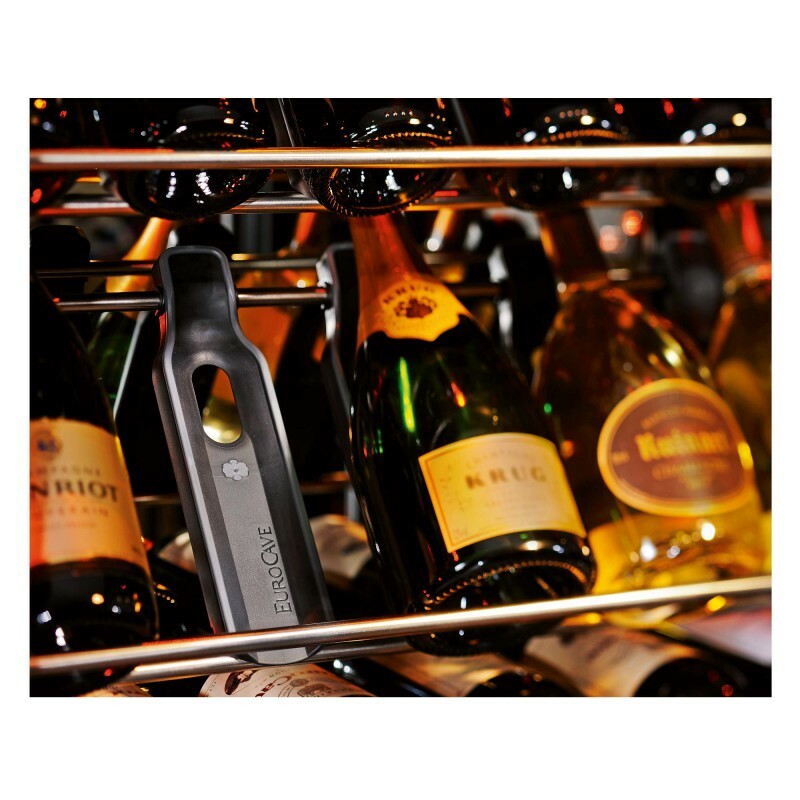 The Main du Sommelier bottle supports display your wine selection to its full advantage. Its maximum capacity is 180 bottles when the bottles are stored flat.